Requires: tested on ImageJ 1.51g but should works on older. Installation: This work is based on the ZXing library. Note: Click on the status bar of ImageJ to know the version of JAVA used by ImageJ. 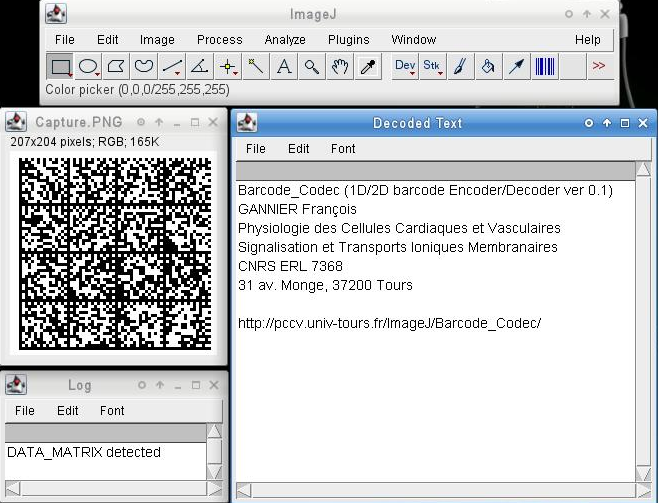 Download and copy Barcode_Codec.jar in the plugins folder, then restart ImageJ.